Keyloggers, in both hardware and software forms, have been around for a long, long time. More devious keyloggers are smart enough to ‘type’ commands into a computer and install Trojans, back doors, and other really nasty stuff. What about mice, though? Surely there’s no way the humble USB mouse could become an avenue of attack for some crazy security shenanigans, right? The only input a mouse receives are button presses, scroll wheel ticks, and the view from a tiny, crappy camera embedded in the base. 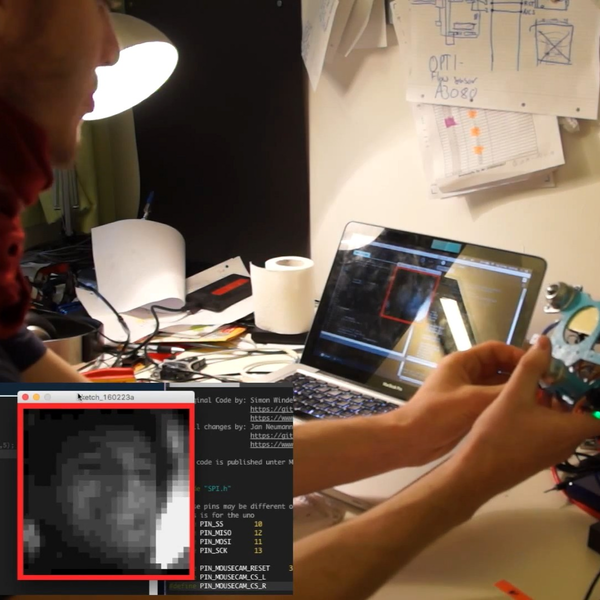 The build reads this camera with an Arduino, and when a certain pattern of gray and grayer pixels appear, it triggers a command to download a file from the Internet. From there, and from a security standpoint, Bob’s your uncle. Looking through the camera inside a mouse is nothing new; it’s been done over the Internet and turned into the worst scanner ever made. Still, being able to process that image data and do something with it is very cool. Just don’t accept mouse pads from strangers. Danke [Ianmcmill] for the tip.